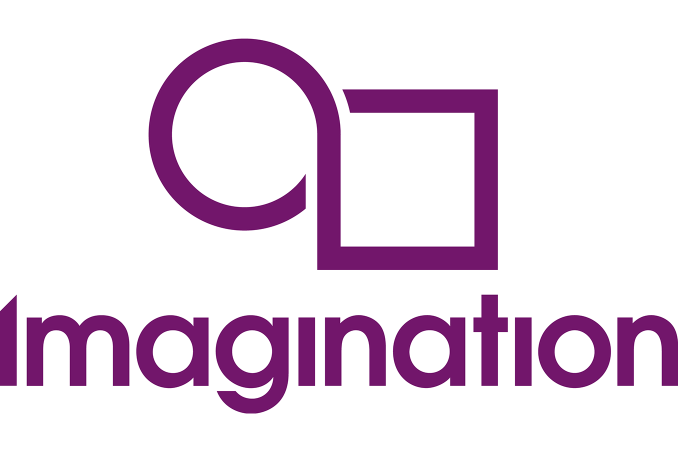 Going hand-in-hand with Imagination’s announcement of their new PowerVR Series6XT architecture and GPUs, Imagination is also announcing a new family of entry-level GPUs to further complement the Series6 family at the other end of the spectrum. These parts are designed for cost/area and power sensitive devices, and are the smallest GPUs offered within the Series6 family. Unlike Series6XT, these parts aren’t a new architecture, rather they’re new designs based around the Series6/6XT architecture. That said, it’s not clear at this time whether any given part is Series6 or Series6XT based (or maybe a bit of both? ), as the features available differ with the model, even though all are in the Series6XE family. Though the inclusion of PVRIC2 in some of these parts, a Series6XT feature, implies that at least some of these parts are derived from the new Series6XT. Diving right into matters then, what’s more interesting is just what Imagination has done for the lower tier parts, G6050 and G6060. Whereas G1xxx parts have one compute cluster, these new low end parts have just half of a compute cluster, which is smaller than what one would typically expect a GPU architecture to be capable of. Unfortunately as this information comes from a high level press release it’s not clear how Imagination has accomplished this. The likely scenario is that the company has taken their 16-wide scalar SIMD based Unified Shading Cluster (USC) and reduced it to an 8-wide design, possibly also reducing the width of other components in the process. Interestingly, Imagination notes that their new half-cluster designs are ISA compatible with the Series6 ISA, our best guess is that Imagination is executing half a wavefront over each clock, completing the whole wavefront in 2 clocks on the G60xx series versus 1 clock for everything else. As noted earlier, each configuration includes two parts and are designed to chase slightly different markets. 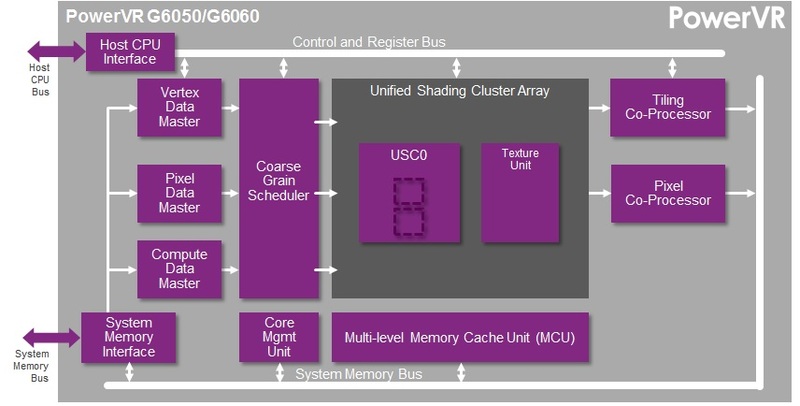 While the G6050 and G6100 are the “base” parts, the G6060 and G6110 include Imagination’s new PVRIC2 lossless image compression technology, which further reduces the amount of memory bandwidth needed by the GPU by compressing render targets and other images. Imagination is specifically pitching these parts at manufacturers that want to go with even cheaper/simpler designs, as the bandwidth savings from PVRIC2 would allow them to go with less expensive memory configurations, ideally more than offsetting the higher cost of the design. Wrapping things up, like today’s Series6XT announcement, Series6XE is being announced with immediate availability for licensing. 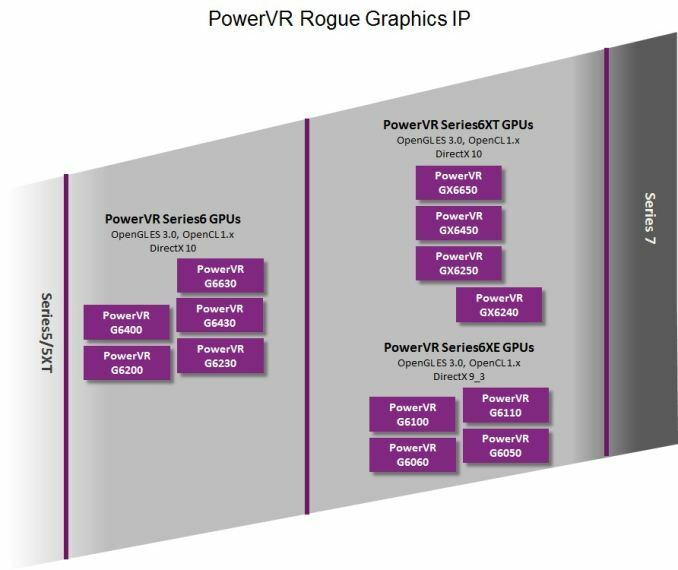 So similar to Series6XT, we’d expect products integrating Series6XE GPUs to start hitting the market sometime in 2015.